Epazote refers to a herb immensely familiar to Mexican and Caribbean cuisines. Its scientific name is Dysphania ambrosioides .The other names used for Epazote are wormseed, Jesuit’s tea, Mexican tea and Paico. 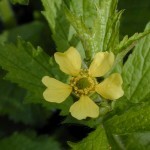 This herb possesses a strong aroma and is widely used for medicinal and culinary purposes. 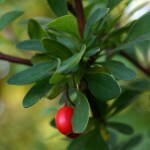 Shape: It has wide elongated leaves. 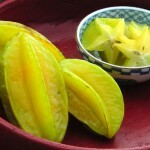 Size: The leaves reach to a length of 12cm. 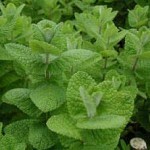 Aroma and flavor: It has a strong odor and a pungent flavor with a minty smell. 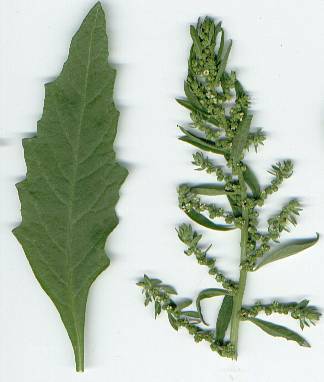 The older epazote leaves are strong in flavor and taste while the younger ones are mild. 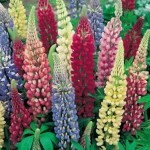 It is an annual herb with a short lifespan, growing in tropical and subtropical climates of Southern Mexico, Central America and South America. 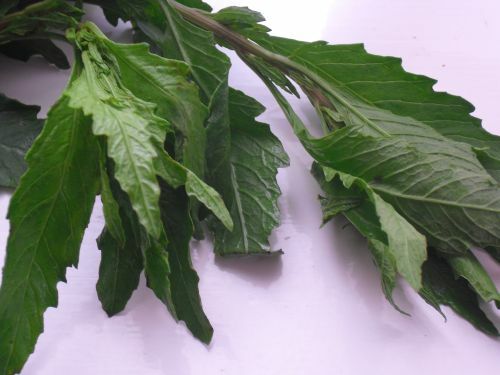 Helps in controlling indigestion: The leaves of this medicinal herb when used in cooking helps to control indigestion and flatulence as they contain carminative compounds that functions as an anti gas agent. 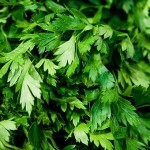 Controls asthma and respiratory disorders: This herb highly helps to cure people from respiratory diseases and attacks of asthma. Certain elements present in it helps to clear lung congestion, helping people to resort to normal breathing. Helps in killing intestinal worms: The leaves comprise of many monoterpene compounds like ascaridole (60%-80%), limonene, terpinene and p-cymene. The compound of ascaridole is effective in killing certain intestinal worms like pinworm, hookworm and roundworm. Presence of antioxidants: The presence of small amounts of Vitamin A and antioxidants like beta carotene act as a protective scavenger and makes this herb very important for the immune system. The anti oxidant property of epazote protects the skin from damage and also provides a neutral effect to the free radicals that may cause different types of cancer and also other diseases like coronary heart diseases, altitude problems etc. 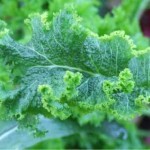 Presence of Folic acid: Parts of the herb, mainly the young leaves, are rich in folic acid that accounts for about 54% of the daily usage values. 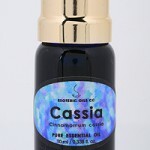 It helps in the growth and maintenance of new cells as well as in preventing cancer by controlling any change in DNA. 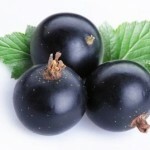 It also helps in preventing and controlling anemia. Helps in bodily metabolism: Epazote has some amount of Vitamin B complex, particularly pyridoxine and riboflavin, which helps in increasing the metabolism of enzyme in a person’s body. Helps in improving bone health: Presence of different minerals like calcium, phosphorous, zinc, copper and manganese helps in improving bone density and also keeping the bones strong. 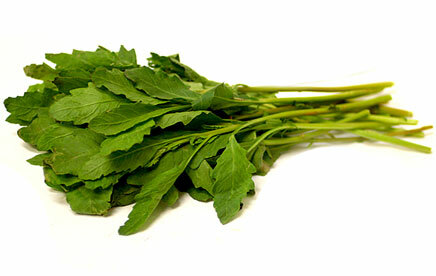 Helps in losing weight: 100 grams of epazote only has 32 calories, thereby helping in losing weight and staying healthy. 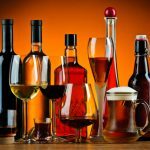 However consumption in large amounts is poisonous. Controlling blood pressure and heart health: The presence of significant amount of potassium in epazote helps in controlling blood pressure and reduces the chances of heart attacks and strokes. Despite being rich in folic acid epazote is strictly restricted for pregnant women and lactating mothers. Consumption in pregnancy might lead to bleeding and contractions in the uterus and may even cause miscarriage. 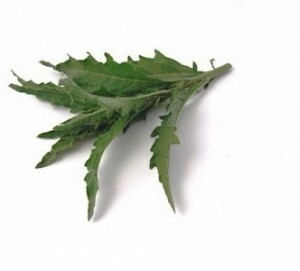 This herb gets into the breast milk and might have adverse effects on the newborn. 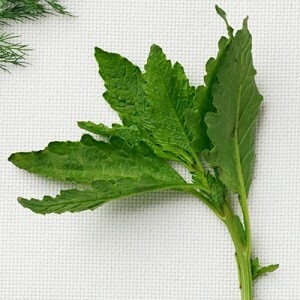 Owing to its pungent and mint like smell epazote is used in seasoning Mexican and Latin American dishes. 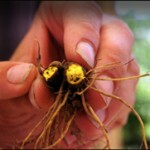 It is a principal ingredient in various black beans recipes. 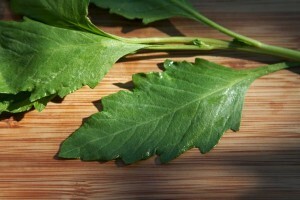 Fresh epazote leaves are often used in recipes of corn like gordita (corn dumplings) and bocoles(cornmeal cakes). 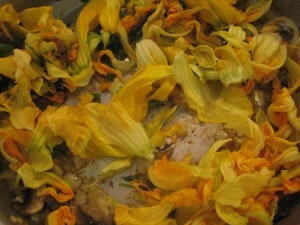 The dried leaves are used for seasoning soups and stews. 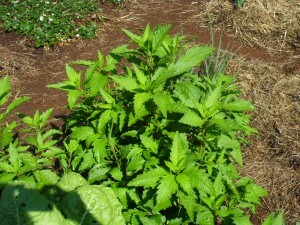 Young shoot and leaf are used as vegetables in soups. A herbal mixture of epazote is used in recipes like traditional Yucatan lime and chicken soup. Like most other herbs epazote too is used in making tea that is beneficial for health. 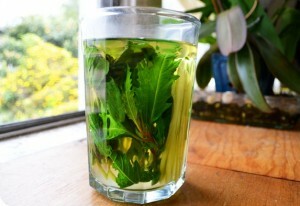 It has been noted that though it lacks proper taste but has immense medicinal values. It is a great relief for gastrointestinal diseases while also being beneficial for patients suffering from hysteria and malaria. People often use it as a stress buster as this tea helps in calming and pacifying anxiety thereby providing relief and strength. Dried leaves should be handled with caution as it can cause allergies in some individuals. 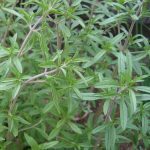 The herb can lead to serious adverse outcomes, such as renal damage and temporary hearing loss in case of extreme overuse. 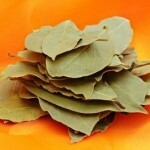 Epazote is sold fresh as well as air dried and can be widely found in stores selling Mexican spices or online. It is recommended to look for small and tender leaves as matured leaves may have an unpleasant aroma. Fresh epazote leaves can be put into a plastic bag and stored for a week. It is however recommended to store the fresh leaves by putting them in a container of water in a similar was a bouquet of flowers. They may also be wrapped in damp paper towels and kept in the refrigerator. The dried leaves should be stored in a cool dark spot with a shelf life of up to six months. Leaves are to be crumbled finely before using in order to enhance the flavor. 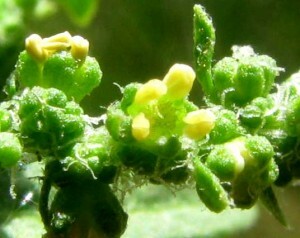 Epazote has a unique flavor but it may be substituted by savory or to some extent by parsley and also ajwain or carom seeds. 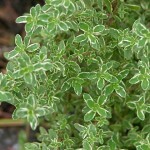 Mexican oregano also acts as a good substitute for it. It was used thousands of years back by the Aztecs for medicinal purpose. Mayans drank the tea to prevent the growth of intestinal worms. 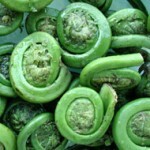 Recent researches have stated anti-tumor and anti-cancerous properties of epazote. A study has shown the herb to be capable of killing human liver cancer cells. 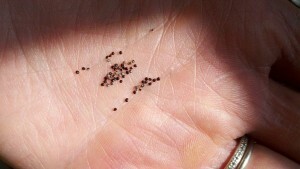 The internal usage of the oil and seeds may even cause death due to their toxic properties.